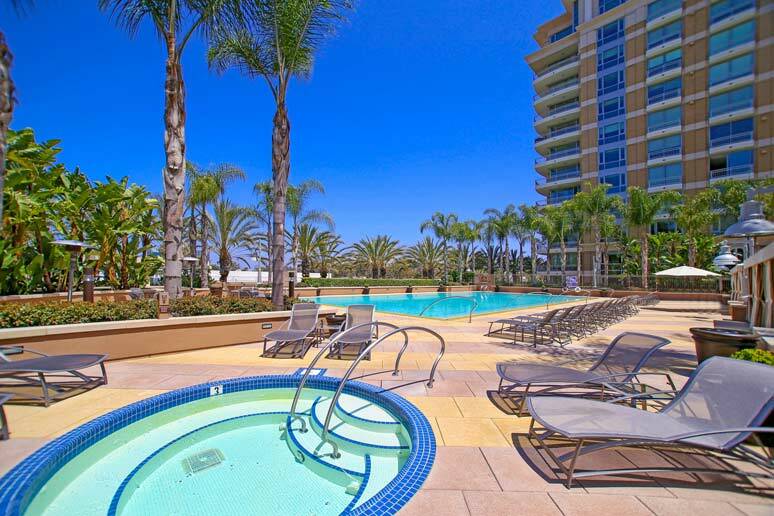 3000 The Plaza is a luxury 15 story high-rise building in the City of Irvine. It is comprised of 105 residences including ten penthouses that are located on Scholarship Avenue between Newport Beach and Irvine. 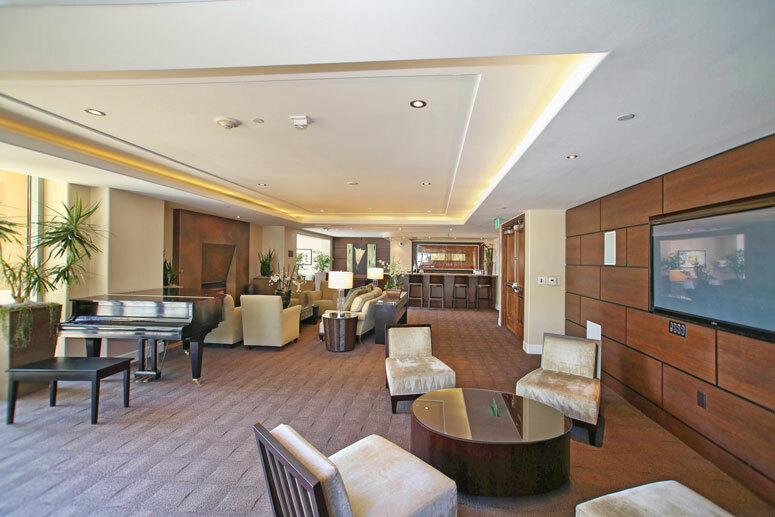 It offers a unique location just south of 405 Freeway off of Jamboree Road and is considered one of the top condo buildings in the Airport area. The University of California Irvine is also located very close by. The 3000 The Plaza offers great amenities such as a club room featuring wet bar, kitchen, dining room, top of the line fitness center, a one of a kind swimming pool, rooftop spa and 24 hour full service concierge. The building was designed by world-renowned architect McLarand Vasquez & Partners International and built in 2008. The Irvine Plaza is a urban living at it is best with walking distance to stores, restaurants and shops. 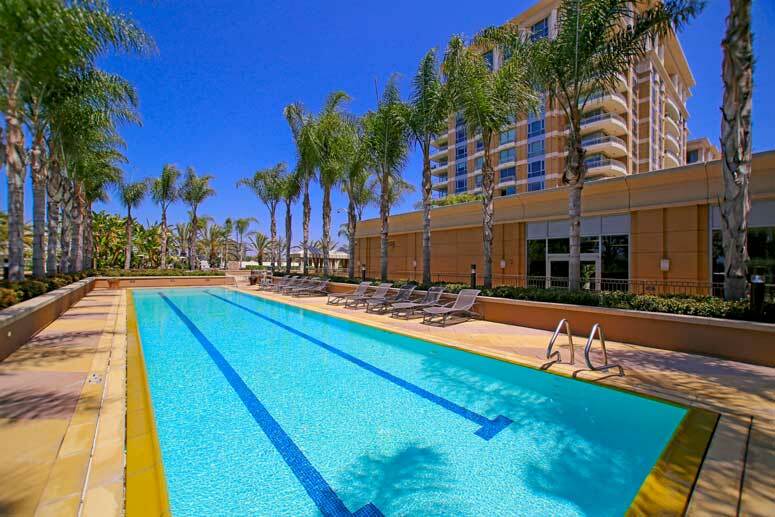 It offers easy access to the 405 freeway and approximately three to four miles driving distance to the beach. There are six main floor plans in the 3000 The Plaza building to choose from. Floor "Plan A" features 1 bedrooms plus den, 2 baths and 1,375 square feet of living space. Floor "Plan B" features 2 bedrooms plus a den, 2 baths and 1,445 square feet of living space. Floor "Plan C" features 2 bedrooms plus den, 2.5 baths and 1,935 square feet of living space. Floor "Plan D" features 2 bedrooms, 2.5 baths and 1,715 square feet of living space. Floor "Plan E" features 3 bedrooms plus den, 3.5 baths and 2,390 square feet of living space. Floor Plan "F" features 2 bedrooms plus den, 2.5 baths and 2,390 square feet of living space. There are two bedroom Penthouses in the 3000 The Plaza that include five floor plans ranging from 1,660 to 2,370 square feet. Three bedroom Penthouses include four floor plans ranging from 2,485 to 3,025 Square Feet. The Homeowners Association for the 3000 The Plaza is managed by Merit Property management located at 1 Polaris Way, Suite 100 Aliso Viejo CA 92656. Their contact number is 949-448-6000. Schools are all located in the Santa Ana Unified School District which include Monroe Elementary School, McFaden Middle School and Century High School. For more information about 3000 The Plaza condos please contact us today. We are more than happy to show you these great luxury condos to you!